A young woman, Karin, has recently returned to the family island after spending some time in a mental hospital. On the island with her is her lonely brother and kind, but increasingly desperate husband ('Max von Sydow'). They are joined by Karin's father ('Gunnar Björnstrand'), who is a world-traveling author that is estranged to his children. The film depicts how Karin's grip on reality slowly slips away and how the bonds between the family members are changing in light of this fact. 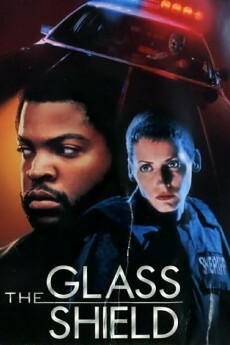 This film's title is taken from the Bible: "For now we see through a glass, darkly; but then face to face: now I know in part; but then shall I know even as also I am known." (1 Cor 13:12). 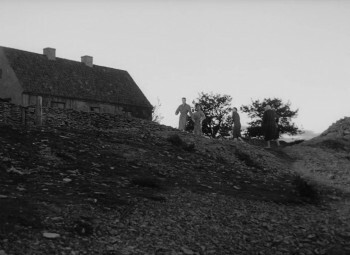 The film is a major work of cinema and a major work of Bergman. If one looks at the body of Bergman's films he was probably approaching his peak of artistry, which he would achieve in his next work "Winter light", a film that Bergman himself called perfect. The reason most viewers do not grasp the importance of the magnificent "Man-God trilogy" or "the Silence trilogy" or "the Dark/Faith trilogy" (three films: "Through a glass darkly", "Winter light", and "the Silence") is that the trilogy deals with the theological question of God's existence. It is essentially a thinking person's film. If you can reflect on what you see, these three films are a treasurea treasure that influenced major directors several decades later, specifically Kieslowski who made "Three Colors: Blue" also almost entirely based on 1 Corinthians Chapter 13, Tarkovsky who seems to have borrowed some ideas like the sudden baptismal rain from this film that he employs in "Solyaris" and "Stalker" and finally the exciting new talent from Russia Andrei Zvyagintsev (director of "The Return", also taking a leaf from the Bergmanesque sonfather relationship). All these films seem to have been influenced by this seminal work of Bergman. To those viewers, who are not spiritually inclined, the film could be reduced to the obvious action of Harriet Anderson's character Karin insisting on wearing goggles as she steps out of her home to live the rest of her life in a hospital. It could easily be interpreted as a study of mental illness, a film that gives credence to the theory that god does not exist. The film can equally be interpreted as a film on mad people who feel they are in communion with god, who at other times are slaves to dark forces (voices). On the other hand one can argue the intensity of the light is a metaphor for a sign that God existsthe basic question that troubled Bergman, the son of a priest, in real life. Even the young Minus kneels down to pray to God as the rain (baptismal?) falls suddenly. A keen viewer will note that there is no sign of rain on island or of rain drenching men in an open boat soon after the event. Only Karin's hair is wet. All three films seek an answer that God exists from a silent, "inscrutable" (to quote a word from this film) God to whom millions pray. "Through a glass darkly" opens with a shot of the almost still, dark waters of the sea mirroring the sky. 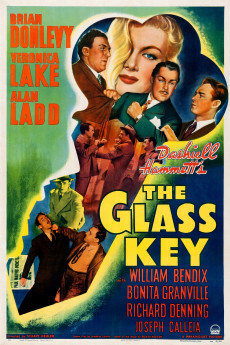 The film ends with several references of light. For the cynical, Bergman was disillusioned and felt that God was a "spider" (the intriguing image for the DVD covers of the three films), a reference to Karin's outburst towards the end of the film. If Bergman, was truly disillusioned, would he have added the final epilogue where the father tells his son "God exists in love, in every sort of love, maybe God is love." These last words make the son say my father has "talked to me" the penultimate words of the filma seemingly spiritual response even Jesus on the cross wanted ("Father, father, why hast thou forgotten me?") before he died. It would be ridiculous to see this work merely as a film seeking answers to God's existence. Like "Three colors: Blue", this is a film on love. There is the undiluted love of an atheist husband (shades of Bergman?) for his ailing wife (note the film is dedicated to Kabi, Bergman's wife at a point when divorce was looming large). There is love of a father for his daughter, son and son-in-law triggered by a failed suicide attempt (only recalled in the film). There is love between siblings. The film is also about marriage. Visually, the film emphasizes the wedding ring in the scenes involving husband (the camera captures the wedding ring on the finger several times) and wife (she puts it on after she washes her face). The son asks with an innocent cockiness of the father who has recently divorced his second wife Marianne (never shown on screen) if "he has lost all stability, spiritually"? Structurally Bergman doffs his cap to Shakespeare by adding a one act play within the film on the lines of "Hamlet" to drive home a point to the father and his illusion of love for his perfect work of art at the expense of depriving love for his near and dear. In more ways than one, this is a thinking person's film. After viewing the film several times, one is in awe of this filmmaker so prolific, so perfect and so sensitive. What he has written for cinema can be compared to the output of great writers like Tolstoy and Shakespeare. He was truly a genius. I do agree with Bergman when he avers that the three films in the trilogy are not connected and are stand alone films. The only common link among the three films is Bergman's personal quest for a response from a silent God that his father believed in and in whom Bergman was brought up to believe in. These are not films of an atheist but works from a genius "flirting with God" to quote from the film itself. Many years after he made the film, Bergman was uncomfortable with the final scene. The doubting Thomas in Bergman had resurfaced. Yet he never reworked on the film. 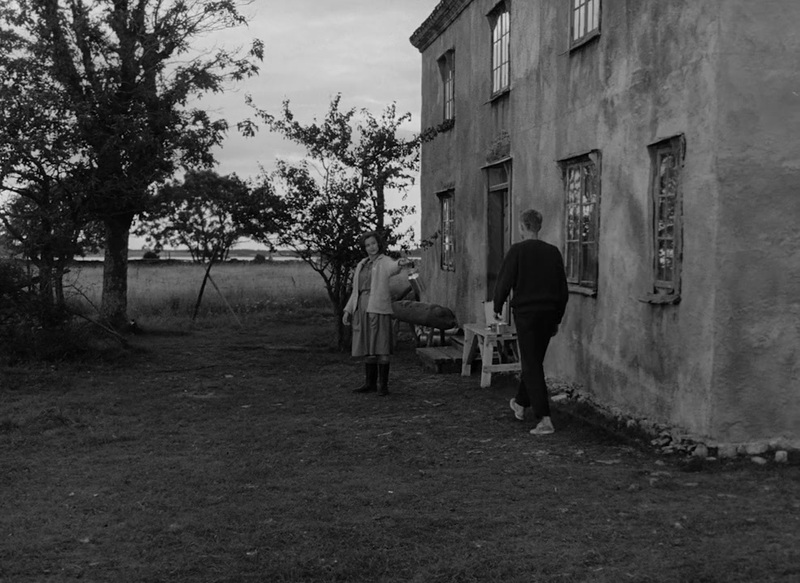 The film has much to offer for a student of cinema: it is made of fine photography, art direction, acting, scriptwriting, editing and sound (Bach plus the horn of the lighthouse). Undoubtedly one of Bergman's finest works, it anticipates the perfect "Winter light," the next film that Bergman wrote and directed. "For now we see through a glass, darkly"- Bible, 1 Corinthians xiii. 12. Well, we don't see darkly through a glass, and Bergman explains in his "Introductions" that during the ancient times, there were no glass, the mirrors were made of metal, bronze, for instance and while looking through the metal mirror, the face and the background appear darker than in reality. Does it mean that when we look inside ourselves like in the mirror, we appear darker and more sinister than we are? Or the other way around? 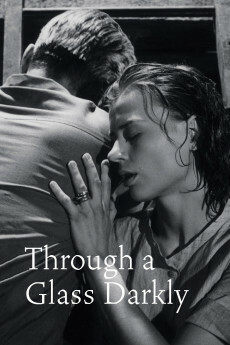 Through a Glass Darkly is the first film in Ingmar Bergman's Silence Trilogy. In recent years, Bergman has repudiated the idea that these films were a trilogy at all. Regardless of whether you agree or disagree with his recent assertion (I disagree with Bergman on this one), each of these films can stand on its own and explores themes of love, loss, death and most importantly, God. This film was intended to be "God defined," in the trilogy (Winter Light is "God exposed," and The Silence is "God's silence.") This film has to be one of the dreariest films that I've ever seen, but at the same time it is so beautiful and poignant that the viewer is drawn in. 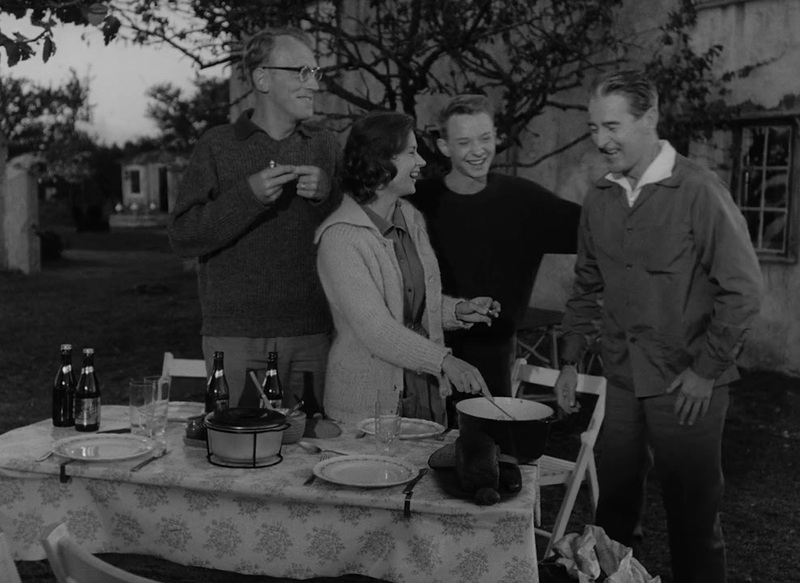 The story revolves around Karin (Harriet Andersson) who is taking a vacation on the island of Faro in the Baltic Sea with her husband, Martin (Max von Sydow), Father, David (Gunnar Bjornstrand), and brother, Minus (Lars Passgard). Karin is recovering after being treated for schizophrenia and seems to be in good spirits, but her condition is fragile. Through the entire movie, she tries to keep in touch with reality and find love from those around her. As her condition deteriorates, she reaches out to each of her companions, but cannot cling on to her sanity. Through the entire film the characters interact, but still seem isolated from each other (the island itself is a metaphor for isolation). In the end, Karin sees God before she is taken from the island to return to a mental hospital. God is a giant spider. Bergman paints a very dreary picture, but as with all of his films, there is a ray of hope at the end. I haven't heard most people who have seen these films comment on this theme in Bergman's trilogy. In each film, someone's life is basically left destroyed at the end of the film. However, there is always another character in the film who has changed, but is moving forward. 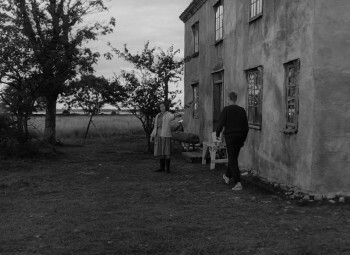 In this film, Minus and David talk after Karin is taken from the island. Minus finds hope in his father's words because the two of them actually reached each other on some spiritual level (even though neither could do so with Karin). In some way, I think that this was Bergman's real message. The traditional notions of God may have deteriorated, but there is still some hope that love and spirituality can be communicated between people and that people will move on.